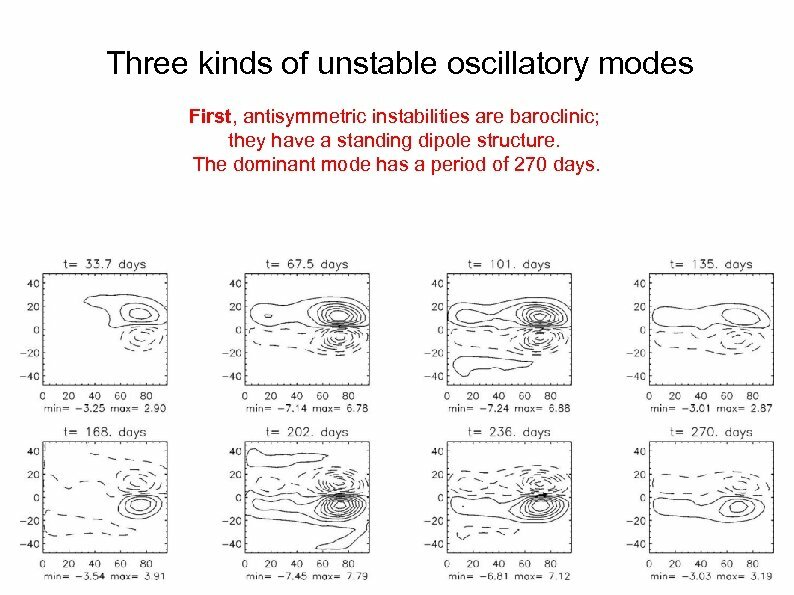 Three kinds of unstable oscillatory modes First, antisymmetric instabilities are baroclinic; they have a standing dipole structure. 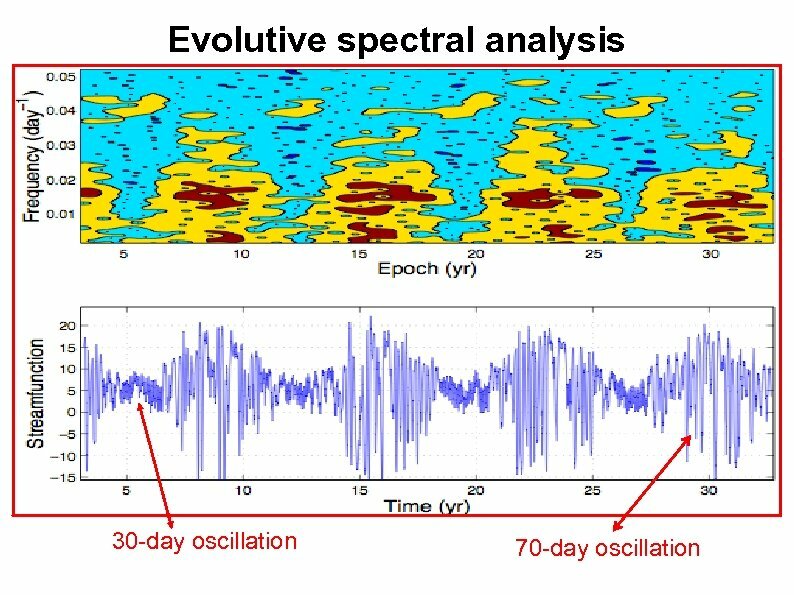 The dominant mode has a period of 270 days. 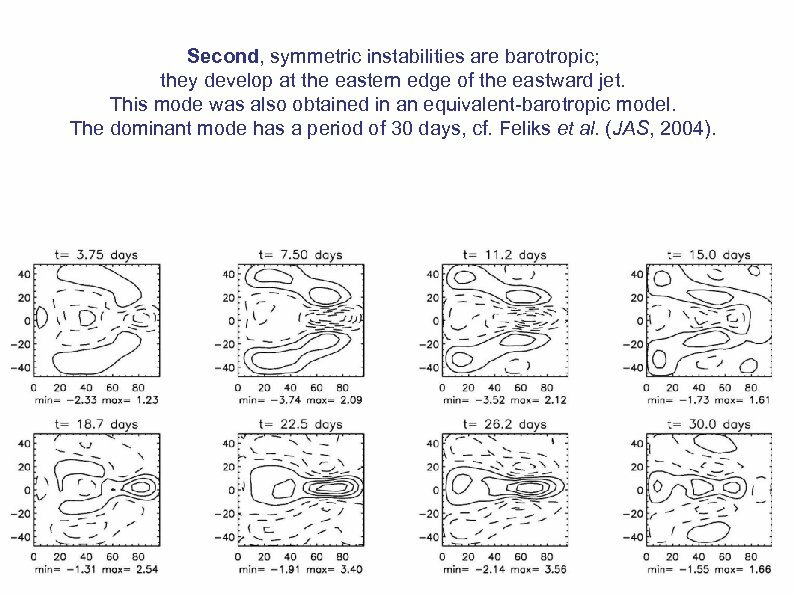 Second, symmetric instabilities are barotropic; they develop at the eastern edge of the eastward jet. 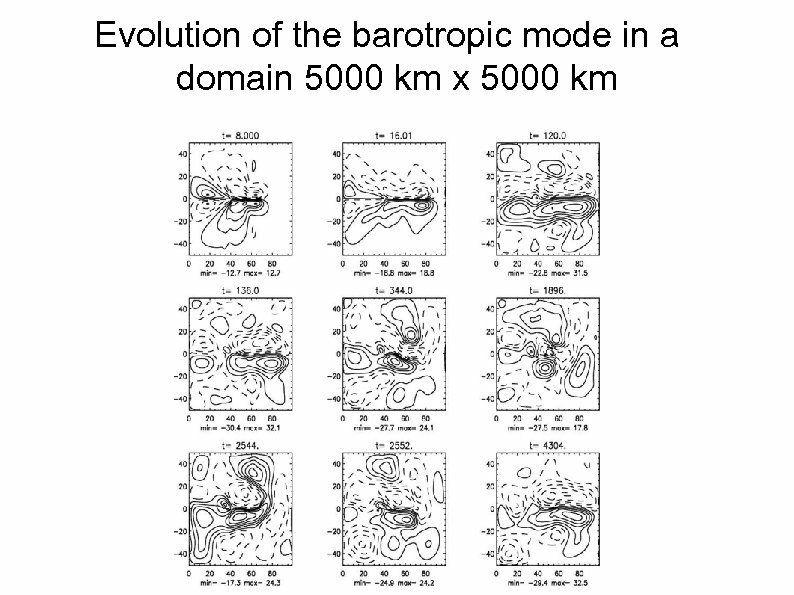 This mode was also obtained in an equivalent-barotropic model. 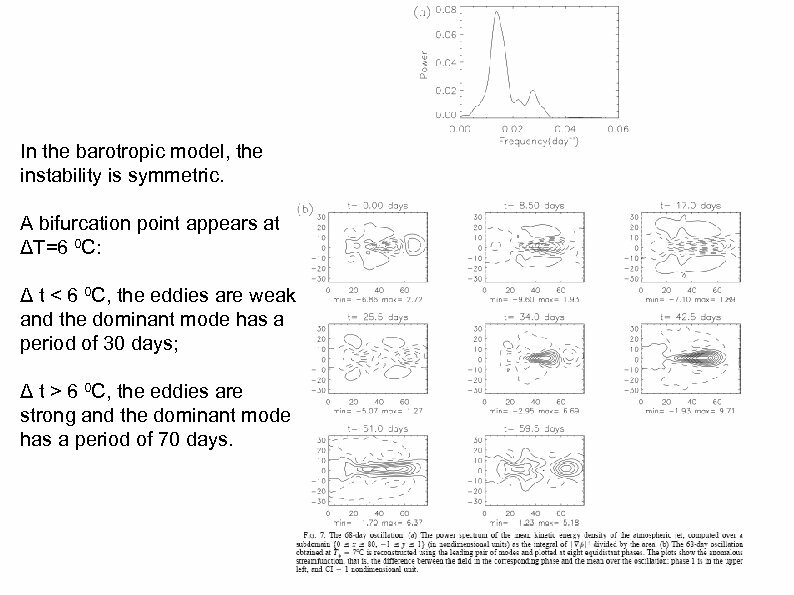 The dominant mode has a period of 30 days, cf. 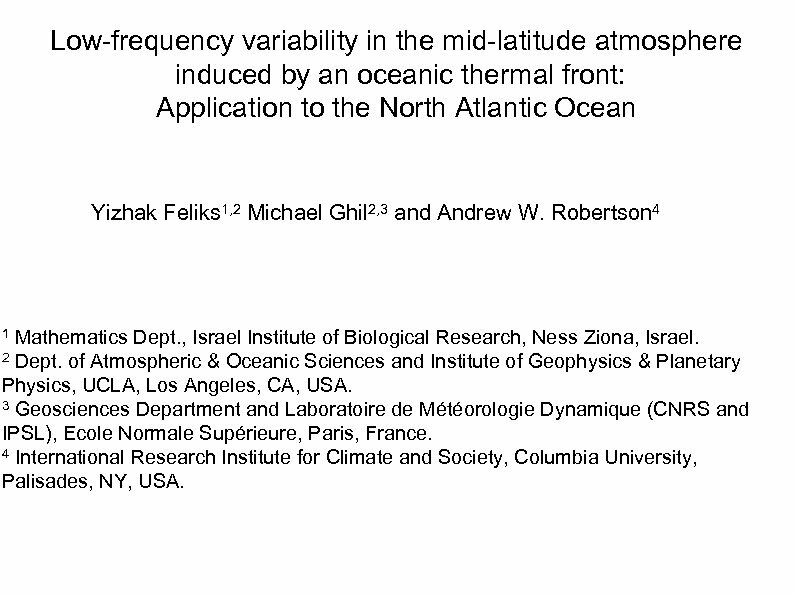 Feliks et al. 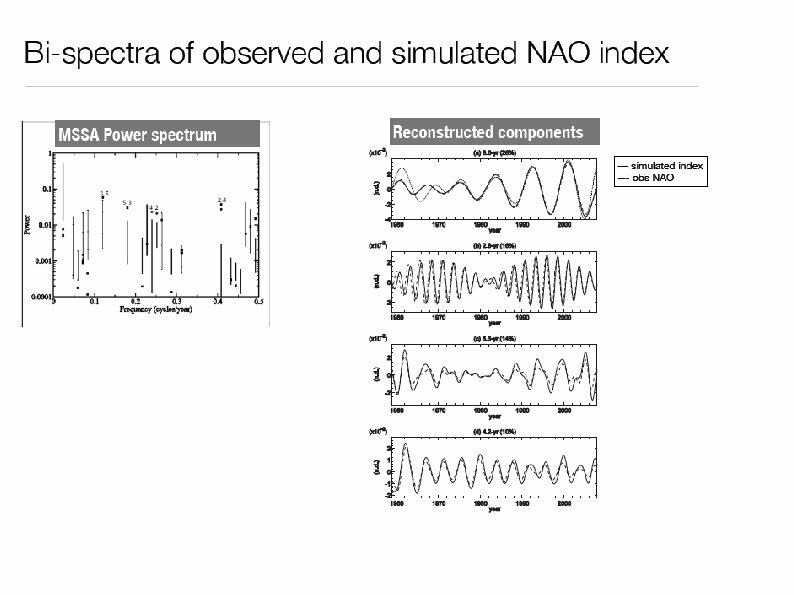 (JAS, 2004). 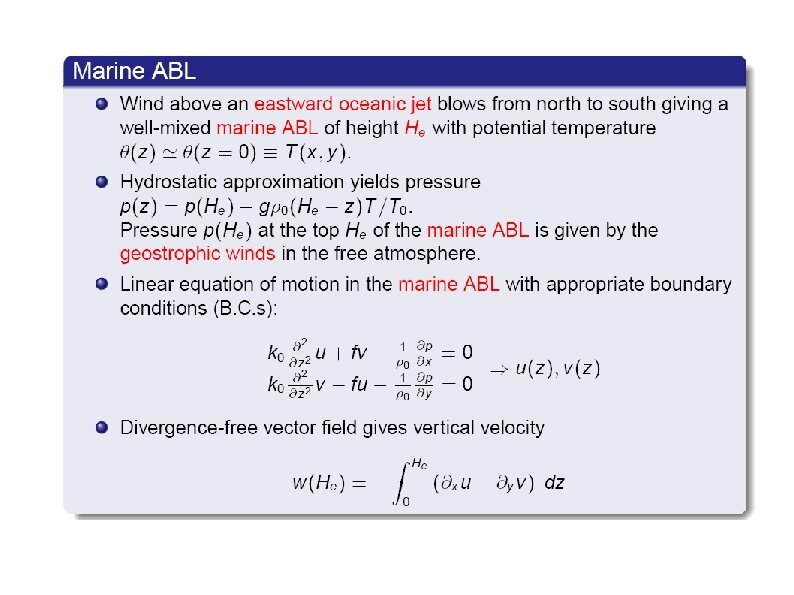 Third, northward propagating instabilities can be decomposed into two standing parts, an antisymmetric and a symmetric part. 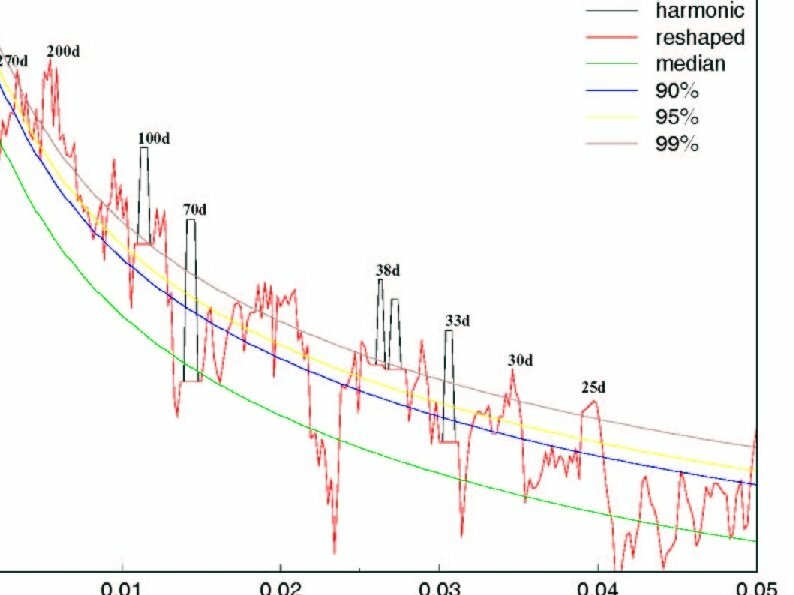 The dominant mode has a period of 103 days. 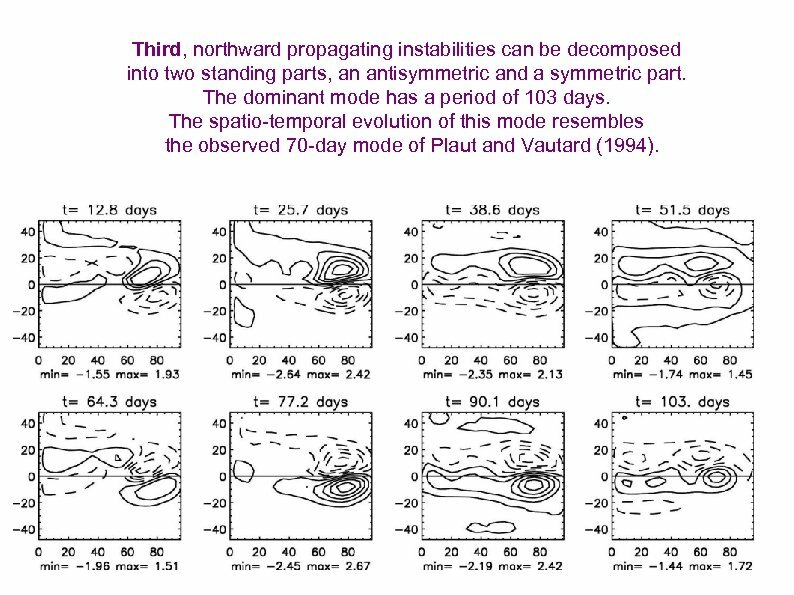 The spatio-temporal evolution of this mode resembles the observed 70 -day mode of Plaut and Vautard (1994). 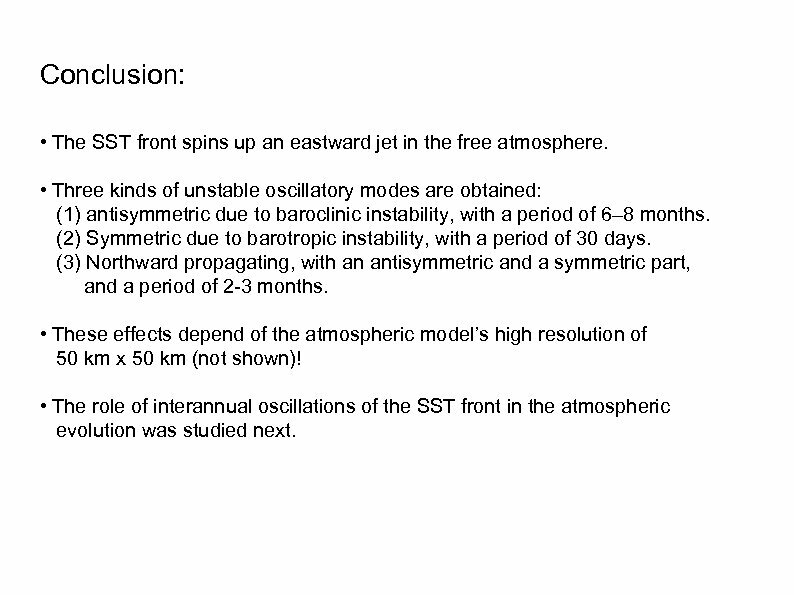 Conclusion: • The SST front spins up an eastward jet in the free atmosphere. 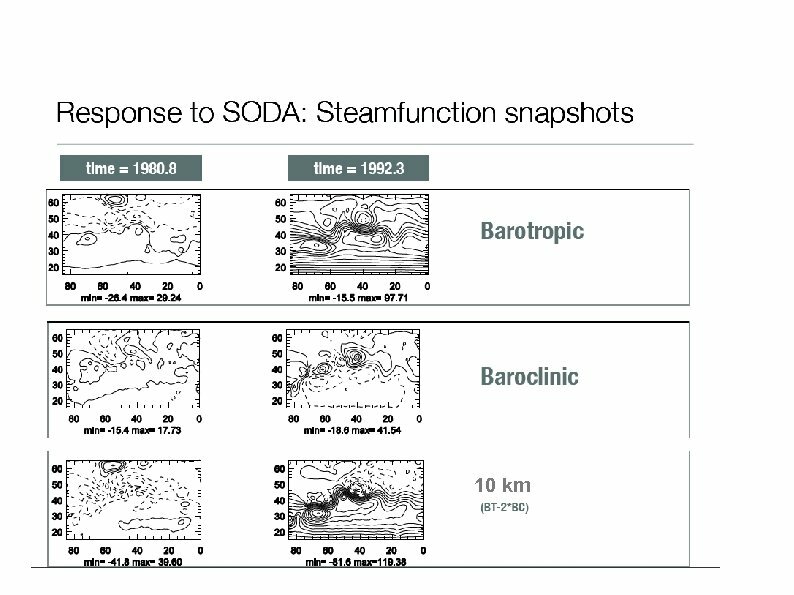 • Three kinds of unstable oscillatory modes are obtained: (1) antisymmetric due to baroclinic instability, with a period of 6– 8 months. 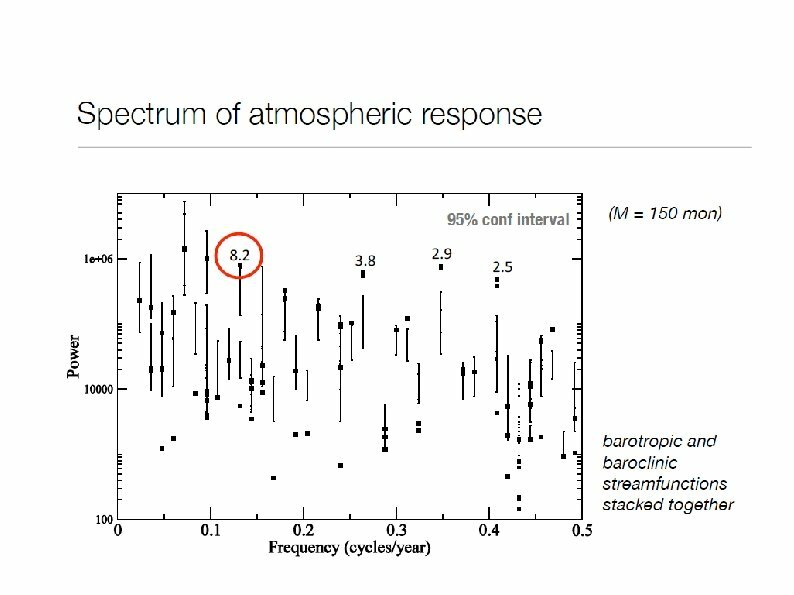 (2) Symmetric due to barotropic instability, with a period of 30 days. 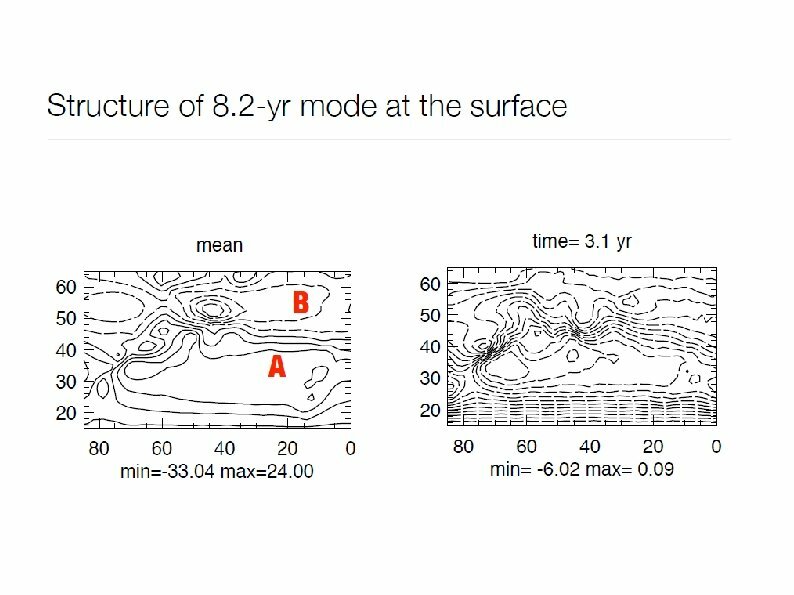 (3) Northward propagating, with an antisymmetric and a symmetric part, and a period of 2 -3 months. 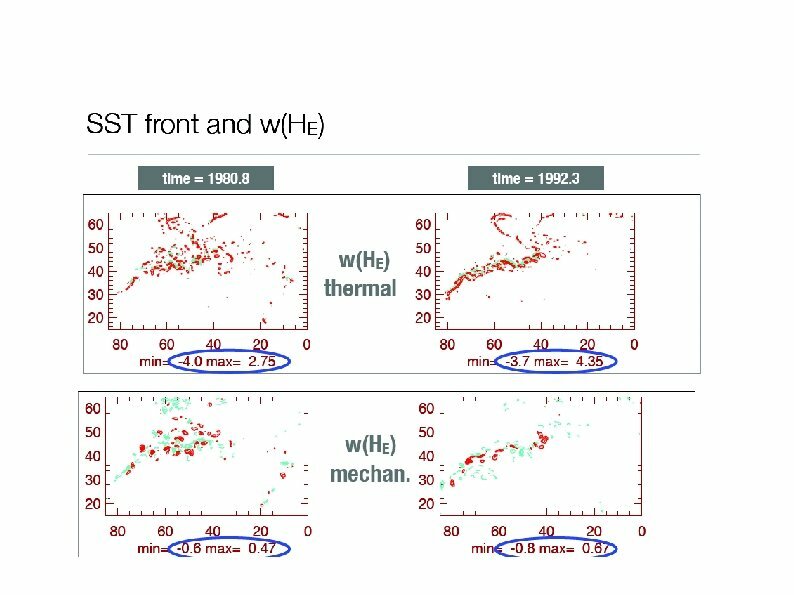 • These effects depend of the atmospheric model’s high resolution of 50 km x 50 km (not shown)! 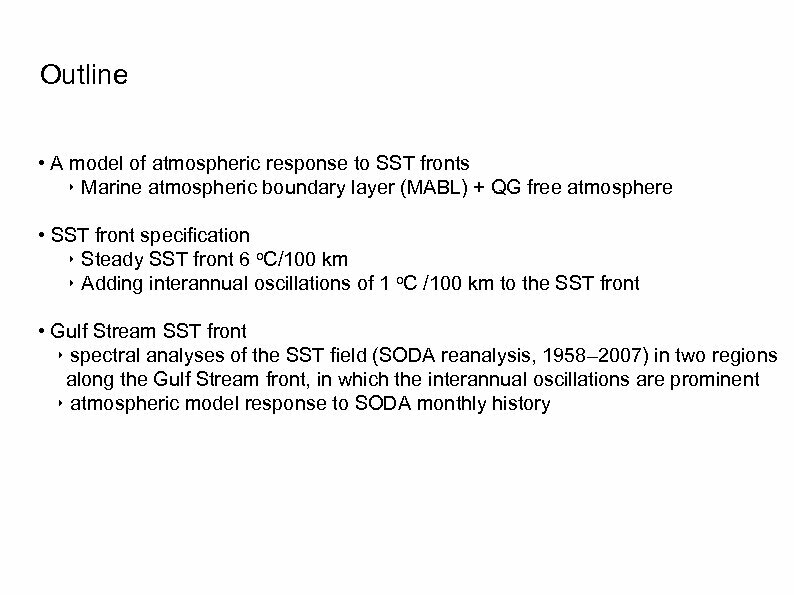 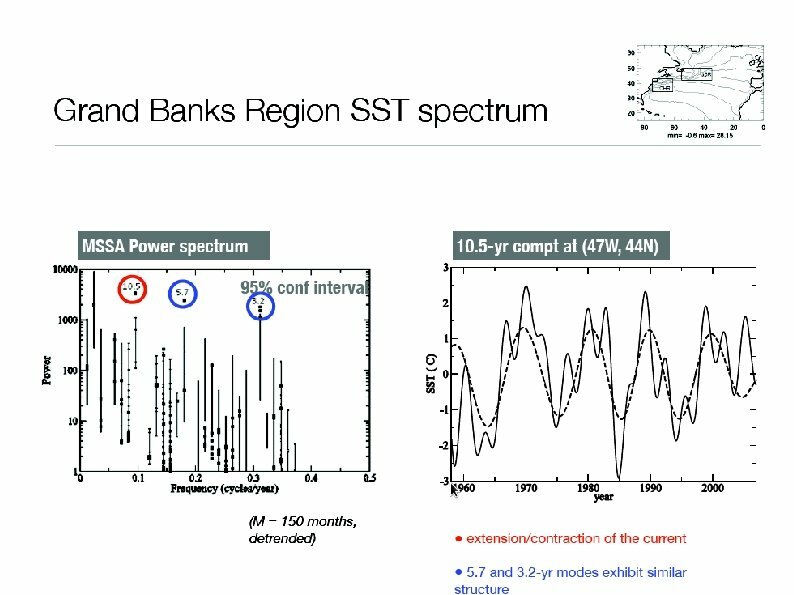 • The role of interannual oscillations of the SST front in the atmospheric evolution was studied next. 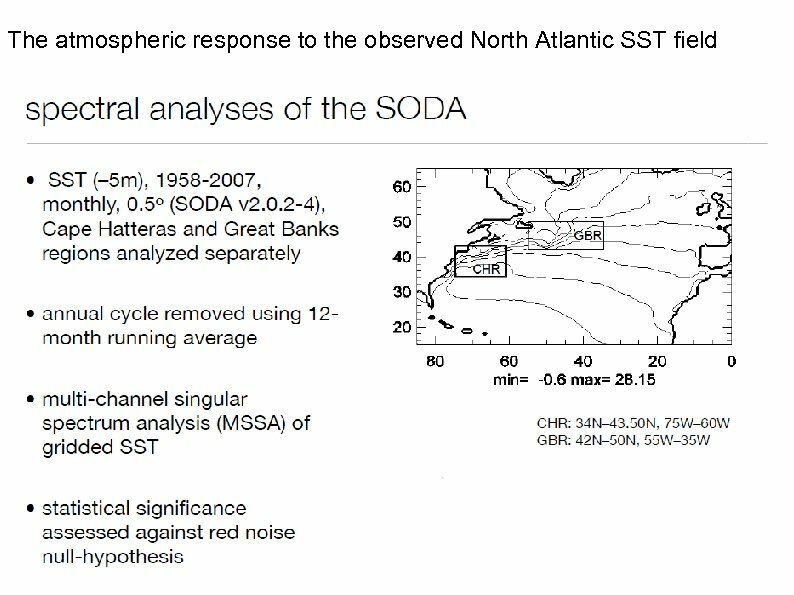 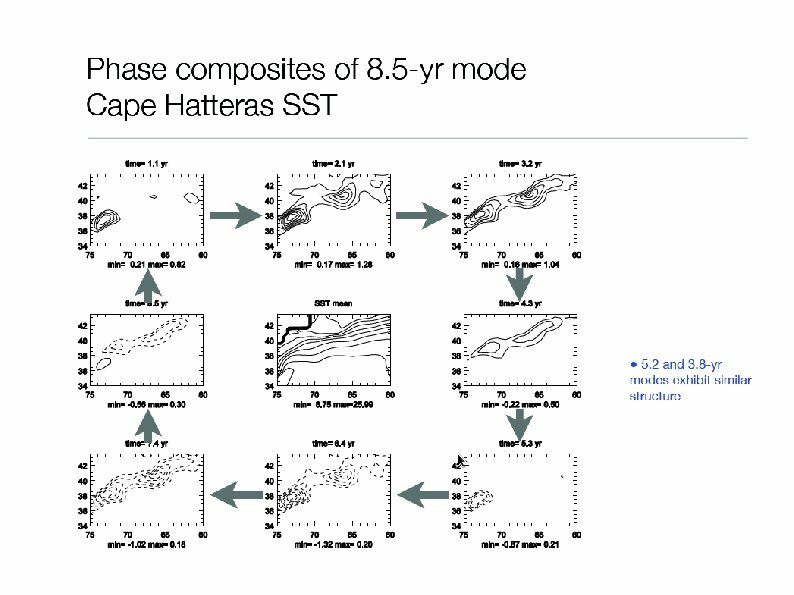 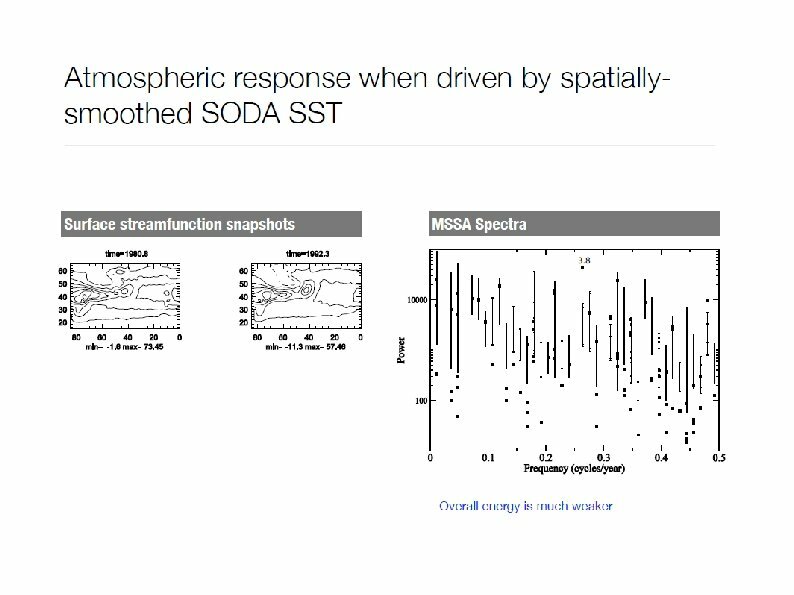 Next we examined the atmospheric effects of SST anomalies over and near the Gulf Stream with the general circulation model (GCM) of the Laboratoire de Météorologie Dynamique (LMD-Z) that has a zooming capability over the Gulf Stream. 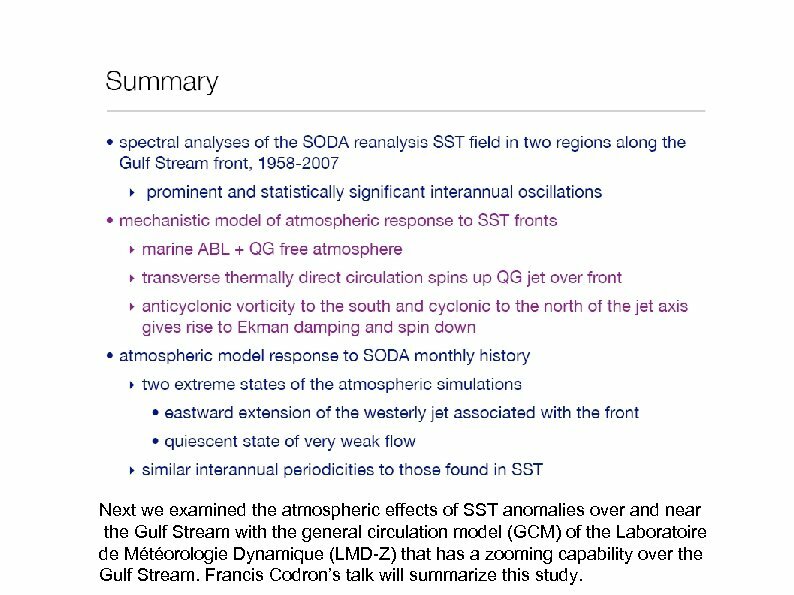 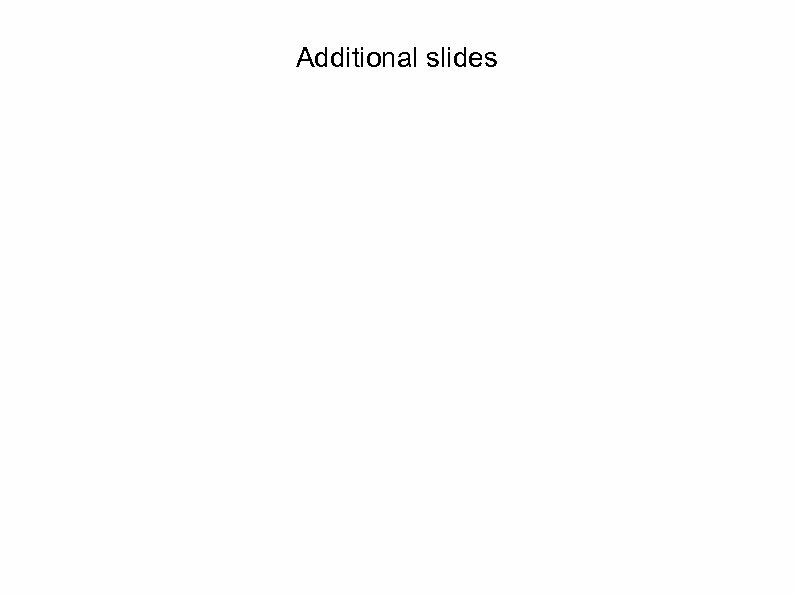 Francis Codron’s talk will summarize this study. 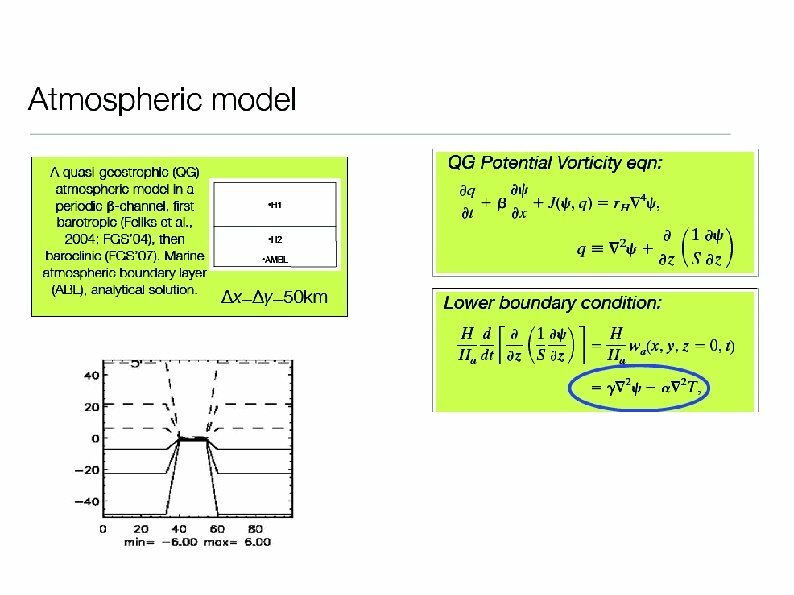 In the barotropic model, the instability is symmetric. 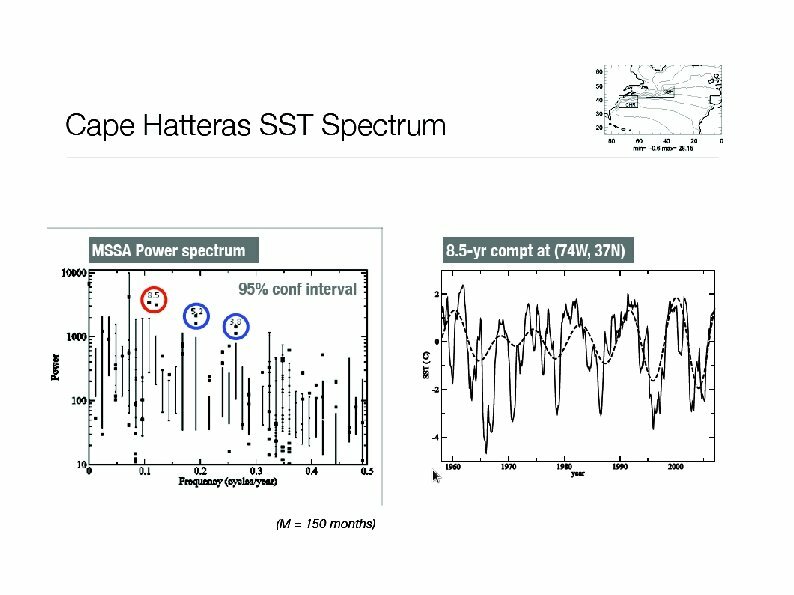 A bifurcation point appears at ΔT=6 0 C: Δ t < 6 0 C, the eddies are weak and the dominant mode has a period of 30 days; Δ t > 6 0 C, the eddies are strong and the dominant mode has a period of 70 days. 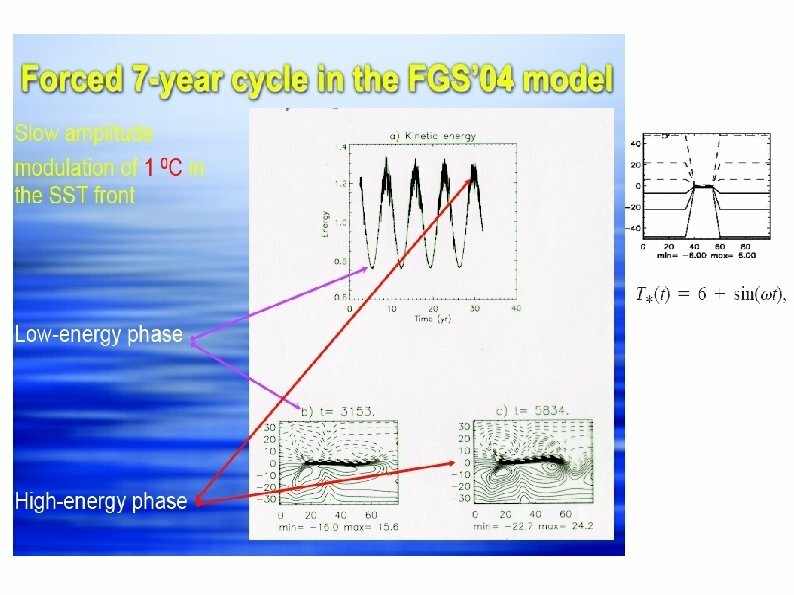 Schematic illustration of the FGS mechanism [FGS(a, b)] of SST front impacts. 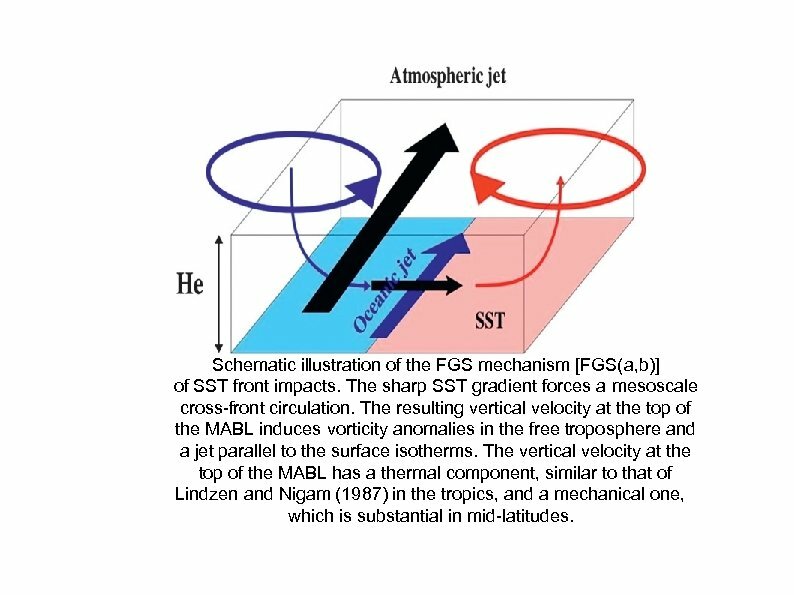 The sharp SST gradient forces a mesoscale cross-front circulation. 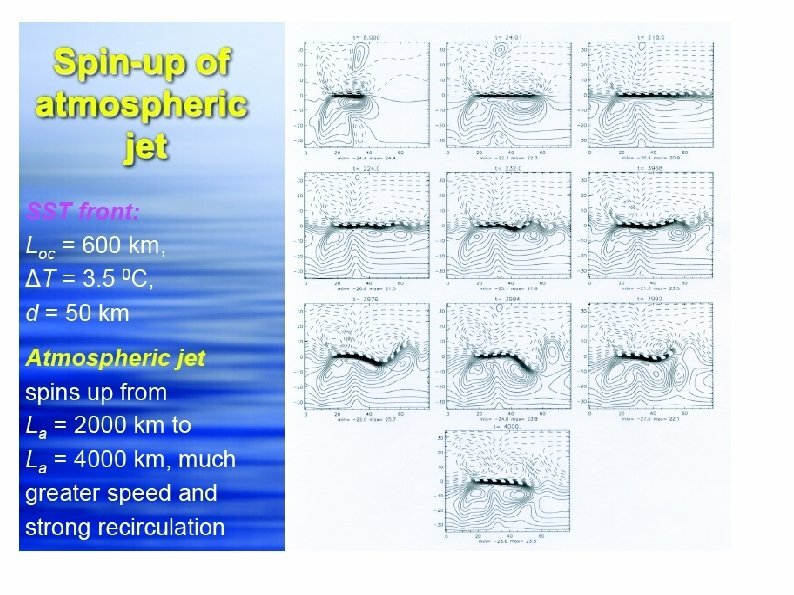 The resulting vertical velocity at the top of the MABL induces vorticity anomalies in the free troposphere and a jet parallel to the surface isotherms. 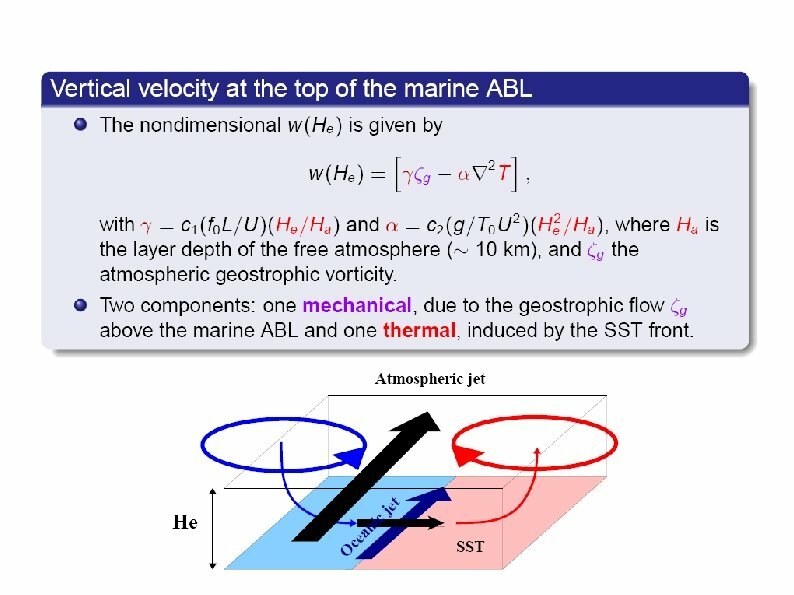 The vertical velocity at the top of the MABL has a thermal component, similar to that of Lindzen and Nigam (1987) in the tropics, and a mechanical one, which is substantial in mid-latitudes.